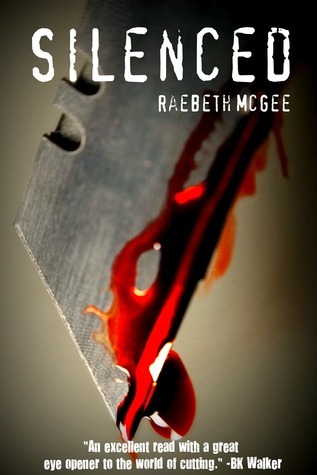 I’d like to welcome author RaeBeth McGee-Buda to DJ’s Book Corner. Thank you for taking the time to come dish it up with me. I figured it out with the help of my younger sister. She was looking through the shorten version of Silenced and suggested I add to it. She said it’d make a very good book to help spread awareness for self harm and depression. Silenced was written as a short story in high school and turned into a book when I was around eighteen years old. It took me some time with being a new mom to write so it was about a two-three year writing process. Tell us a little about your young adult novel, Silenced. Silenced isn’t your typical read. I’ve heard that it’s hard for some people to read due to the nature of the book. Although my main focus wasn’t to bring my readers a perfectly formatted/edited book.... I wanted the main focus to be on spreading awareness with depression and self harm. The two disorders, I think, fail to have the attention they need. I’ve had so many people email me to thank me for making them aware of self harm because they had no idea it existed. This is the purpose of Silenced. Sum the main character Amber up in three words. Stubborn, hard headed, & (at times) immature! Depression, and even more so, cutting, seems to be such a taboo subject for most. What inspired you to dive into such uncharted territory in regards to the young adult genre? I suffer from depression and anxiety. When I was a teen I also struggled with a small patch of self harm. I felt so isolated from the world because of my secret. Self harm isn’t in control of my life any longer and I found the light at the end of my tunnel. At times I felt that I would fail and success wouldn’t be for me. I also know people who has trouble with depression and I even know a few people who have lost family due to depression and self harm. When I talked about my issues in the past, there were people who didn’t understand what I was/am going through and they would call me various names. As well as telling me that I was just wanting attention. When in fact it was just the opposite. I wanted to help people to understand depression and cutting from the POV of the person suffering. I’m hoping that my version will help open the eyes to those who don’t understand and help them understand. If Silenced were a movie, what would be the perfect first song on the soundtrack? What do you like best about writing young adult books? A publisher tells you they would love to release Silenced, but only if you rewrite it for a much older audience. What do you tell them? I would ask them to give me suggestions as to what they’d want. Once I saw their suggestions, I would see if it would change the meaning of Silenced. If it didn’t change my goal and it made the message stronger.... I’d agree. What is your writing schedule like? Do you need absolute quiet to write? Do you listen to music when you are writing? I really don’t have much of a writing schedule with my pregnancy. Most of the pregnancy I’ve dealt with sickness and being tired. When I do sit down, it doesn’t have to be quiet. I wouldn't want my family to change their ways just because I wanted to write. (My computer is in the living room.) Music tends to distract me. If I put music on... I find myself dancing instead of writing. ...would it be wrong for me to say my third is... Me (RaeBeth McGee-Buda)? The best compliment I could receive is that a reader's life was changed because they read Silenced. I’ve actually have been told this and it warms my heart to know that my goal with Silenced was reached within the first month of its release. Last, but not least, my Super Silly Question: After a very long day of writing, you really just want to take a nap. So you decide to send Emma off to Narnia for a few hours. How does she get there? The Lion, the Witch, and the ??? The Lion, the Witch, and the Cubby Hole. I say cubby hole because she has an oversized walk-in closet in her room that we use for storage. We also call this the cubby hole. RaeBeth married in August 2012 to her husband, Gregory Stephen Buda Jr. and resides in a small Pennsylvania town of Fairchance. RaeBeth is a full time mother of one and is expecting her second child. She graduated from American Intercontinental University with her associates in business administration. 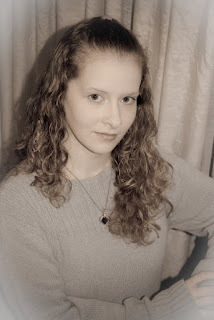 She enjoys spending her time writing and feels that connecting with readers is her main goal. RaeBeth published Silenced under her maiden name but plans to continue writing under her married name with any other works. Amber Brown spent her entire existence believing Dave was her father. When her mother reveals this is untrue, she goes through an emotional spiral with depression. It's hard for her to believe her mother had lied to her all this time. A move to a new home and town causes Amber to be consumed by her "darkness" and reverts to cutting to free herself from her pain. When Casey, her new friend enters her life, she introduces Amber to parties, drugs, and Amber's new boyfriend Landon. The secret of cutting begins to take affect on Amber as she tries to hide it from her friends and family. In the mist of everything, Amber has the desire to find out who her biological father is. Follow Amber through her trials of depression and cutting, along with the discovery of love. Review of Silenced coming soon. Thank you so much for having me. It was a blast working with you. Have a wonderful day. You are quite welcome, lady!